Nimbus Web Inc | How to import bookmarks from Xmarks? How to import bookmarks from Xmarks? 1) Open Xmarks and select Tools > Export Bookmarks to HTML. 2) Save the HTML file. 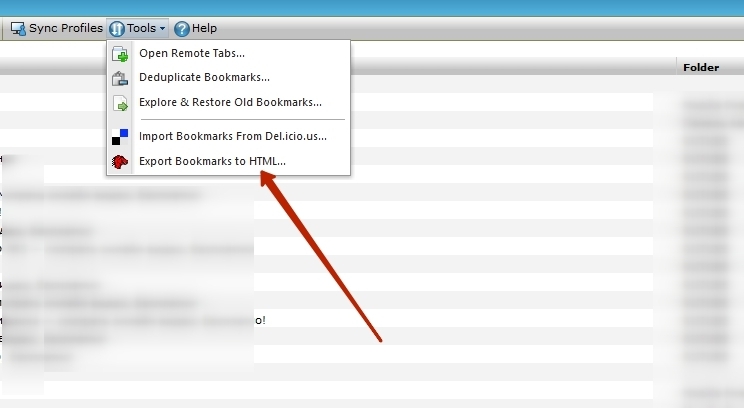 3) Open our web client at https://everhelper.me/client/ and in Bookmarks select Tools > Import/Export Bookmarks. 4) Select the HTML file you saved from Xmarks. 5) Wait for the import to complete. You can then use EverSync to synchronize the bookmarks with your browser: https://everhelper.desk.com/customer/en/portal/articles/2412006-faq-eversync-for-browsers.